The Federal Government has said the introduction of a new price regime for Premium Motor Spirit (petrol) has become inevitable in order to halt the crippling fuel scarcity in the country and ensure availability of the product. The Minister of Information and Culture, Alhaji Lai Mohammed, who stated this at the inauguration of the Advertisers Association of Nigeria (ADVAN) Marketers Conference in Lagos on Friday, said only the liberalization of petrol supply will ensure the availability of the products. “Distinguished ladies and gentlemen, I can tell you that that decision is inevitable, if we are to end the crippling fuel scarcity that has enveloped the country, ensure the availability of the products and end the suffering that our people have been subjected to,” he said. He said the crash in the price of crude oil, which has impacted negatively on foreign exchange earnings, has further compounded the crisis in fuel supply. “With the drastic fall in the price of crude oil, which is the nation’s main foreign exchange earner, there has also been a drastic reduction in the amount of foreign exchange available. The unavailability offorex and the inability to open letters of credit haveforced marketers to stop product importation and imposed over 90% supply on the NNPC since October 2015, in contrast to the past where NNPC supplies 48% of the national requirement,” the Minister said. He further elaborated that in the absence of available forex lines or crude volumes to continue massive importation of PMS, it is clear that unless immediate action is taken to liberalize the petroleum supply and distribution, the queues will persist, diversion will worsen and the current prices will spiral out of control. Alhaji Mohammed, however, said the liberalization of petrol supply and distribution will allowmarketers and any Nigerian entity willing to supply PMS to source for their forex and import PMS to ensure availability of products in all locations of the country. He noted that the resultant fuel scarcity has created an abnormal increase in price, resulting in Nigerians paying between N150 and N300 per litre as prevalent hoarding, smuggling and diversion of products have reduced volumes made available tocitizens. The Minister explained that the new fuel price regime should not be misconstrued as the removal of subsidy since there is no provision for subsidy in the 2016 Appropriation, saying the erstwhile PMS price of N86.50 gives an estimate subsidy claim of N13.7per litre which translates to N16.4 billionmonthly. “There is neither funding nor appropriation to cover this,” he explained. Alhaji Mohammed used the occasion to draw the attention of Nigerians to the renewed insurgency and pipeline vandalism in the Niger Delta, which have drastically reduced national crude oil production to 1.65 million barrels per day, against 2.2 million barrels per day planned in the 2016 budget thereby reducing income to Federation account and also affecting crude volumes for PMS conversion. Listing the benefits of the new price regime, he said it would end the recurrent fuel scarcity by ensuring product availability across the country, reduce hoarding, smuggling and diversion of products substantially, improves fuel supply situation through private sector participation, creates labour market stability, as this will potentially create additional 200,000 jobs through new investments in refineries and retails and prevents potential loss of 400,000 jobs in existing investments”. 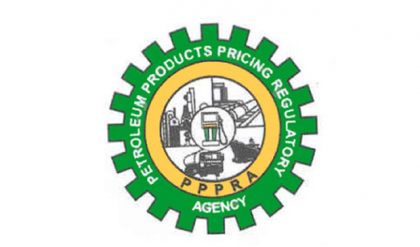 Alhaji Mohammed gave the assurance that underthe new price regime, the Petroleum Products Pricing Regulatory Agency (PPPRA) and the Department of Petroleum Resources (DPR) will be further empowered to ensure a level playing fieldand strict compliance with market rules by all stakeholders and consumer protection.